We were up and out this morning as we had a friend to meet in the morning. We didn’t have breakfast but decided we would get some in town. We looked up the train and there were none! We then found out that some trains were not available due to track works, so we had to take replacement busses. We got to the bus stop and luckily they were free busses, so we hopped on it to Central train station. We were sat directly behind a guy who was shouting on the phone for most of the journey, which was incredibly loud for 10:00! We got to the station and hopped on a train to Circular Quay. We got to the station and went to McDonald’s. We had a McMuffin and a drink whilst we met with Curtis’ friend Ricki. 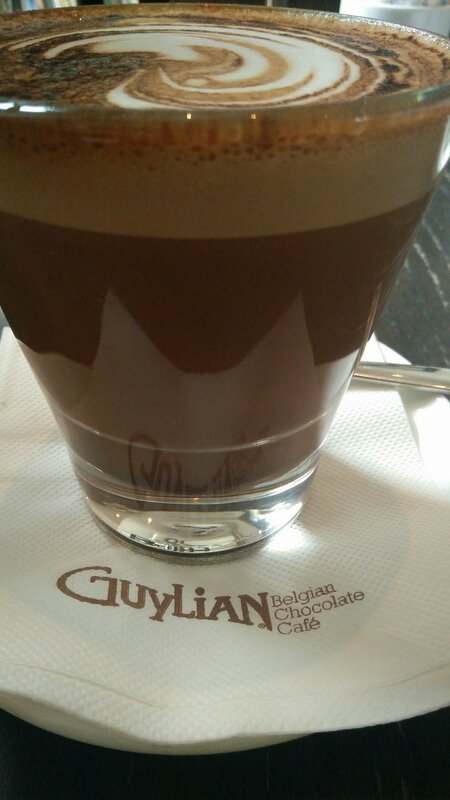 We then moved from McDonald’s to the Guylian Cafe where we got some fancy coffee! Kim got a coconut hot chocolate and Curtis got a mocha it was tasty! We sat and chatted for a while about everything then we left the shop and went for a small walk. We had to part ways with Ricki and we went to get some things for Curtis. He had to get some shirts and shorts, so we went to H&M. After H&m we found somewhere for Curtis to get a haircut and then we had to get the bus back to the house which meant walking and waiting in the rain for a while! We got back and then went to the shop. Kim then made some great food! 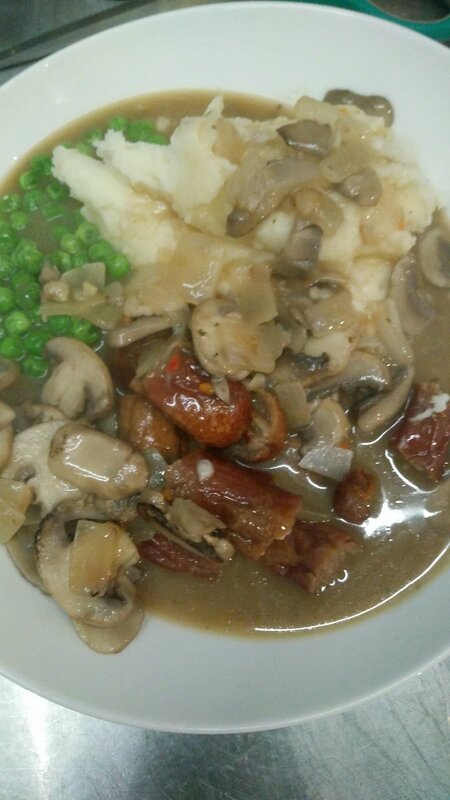 We had sausages, mash, peas and mushroom & onion gravy. We watched some TV then we’re off to sleep.. Another fun day tomorrow!